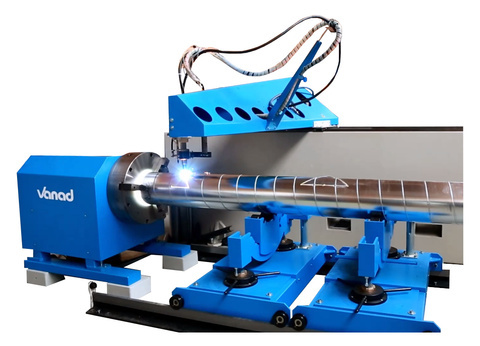 The Vanad RotCUT is a modern, highly effective supplementary device delivered together with machines Vanad for precise tube and profile processing. It is designed for the production of steel construction components in widely diverse industries and for precise cutting of shaped holes. RotCUT device is distinguished by its remarkable accuracy, reliability and performance. The device is always tailor-made to meet requirements of each customer. Supporting steadies and the tracks for their fast movement are included in RotCUT. With the RotCUT device you can prepare components of various steel building constructions as steel halls, bridges, platforms, railings, reservoirs, etc. 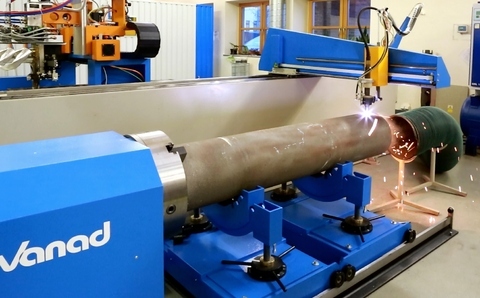 The equipment can also be used as a special extension of your CNC cutting station as well as an independent machine for processing of tubes and profiles. We adapt the Vanad RotCUT to your needs and suggest a thorough individual solution.. Please contact us for a price quotation or arrange an appointment for a demonstration. 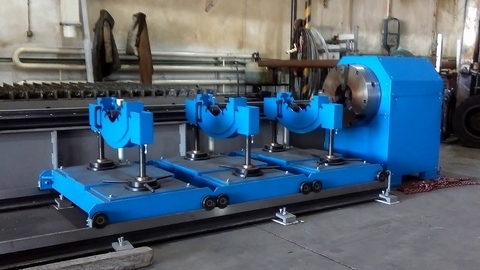 The feature of the technical device RotCUT is especially an easy operation of the machineand its well proven reliable robust construction allowing for achievement of high accuracy manufactured shapes.